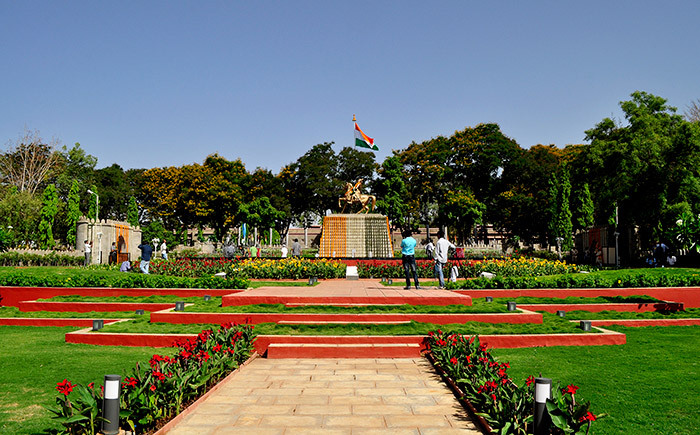 The site lies inside the campus of National Defence Academy (NDA) at Khadakwasla in Pune which is the first tri-service academy in the world. The NDA campus is situated on a lake shore, surrounded by a hilly terrain. 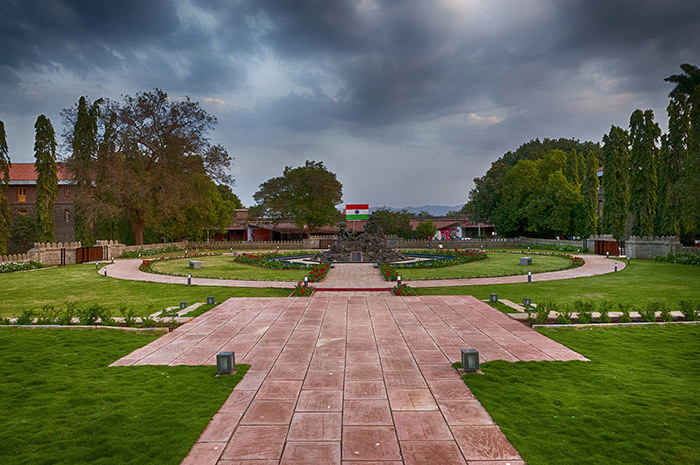 Aptly, NDA is also located in the hunting grounds of the legendary Chhatrapati Shivaji Maharaj, with the Sinhagad Fort as a panoramic backdrop. A number of war relics adorn the NDA campus, including legendary captured tanks and aircraft. 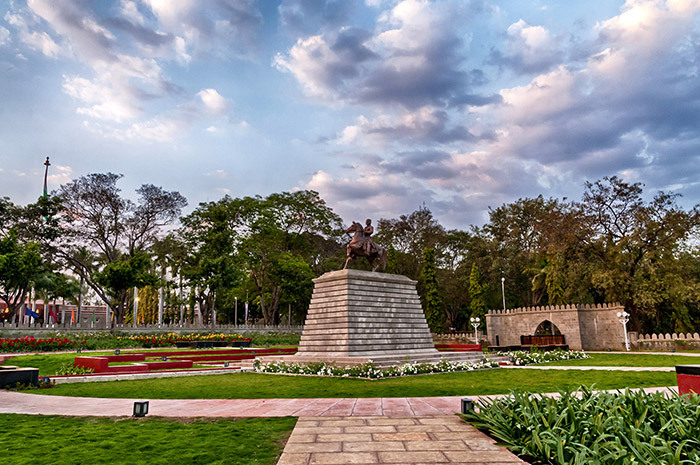 It also has several statues of great warriors such as Maharana Pratap, Rani Laxmibai and Maharaja Ranjit Singh, besides the statues of gallantry award winners, which were presented to the NDA by various state governments. 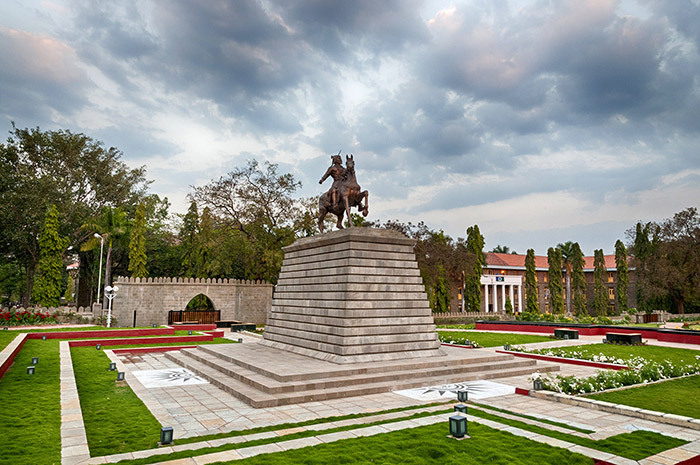 However, the absence of a Chhatrapati Shivaji Maharaj statue was conspicuous at the premier defence institute. The issue was brought forth by the NDA officials in 2003. Their report also stated how, according to the defense ministry’s policy, the NDA did not install statues on its own, and instead accepted statues gifted by various state governments. 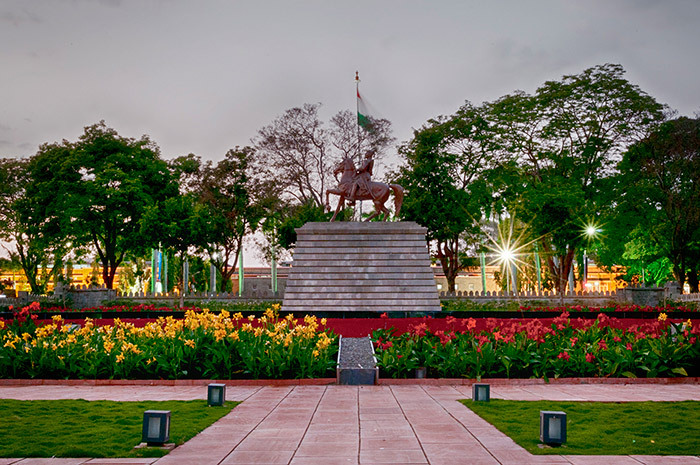 The Pune Municipal Corporation (PMC) took up the responsibility of installing the statue on a 2 acre plot allotted by the NDA. The NDA earmarked the best plot in the academy for setting up the statue- a place which was prominent and could be easily seen by visitors. The site chosen was a 2-acre rectangular plot opposite the cadets’ mess and between the cadets’ Foxtrot and Delta squadrons on the Trishul Marg. 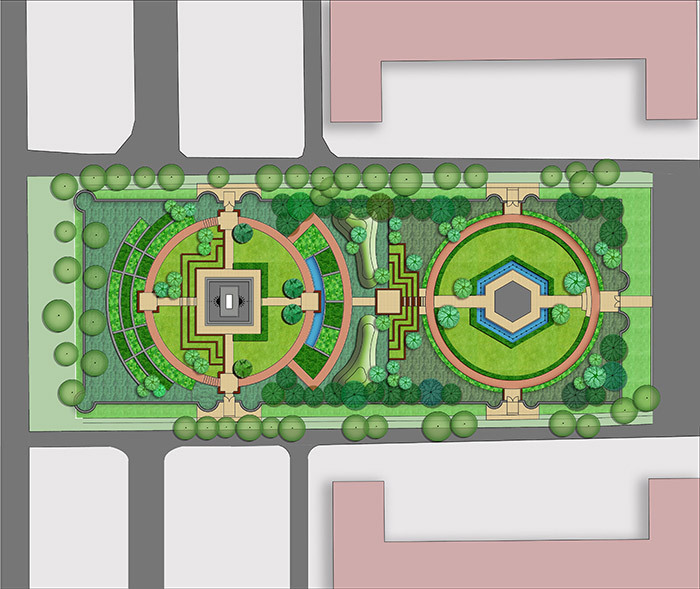 The main Sudan Block and the Ashok Stambha are right next to the site. 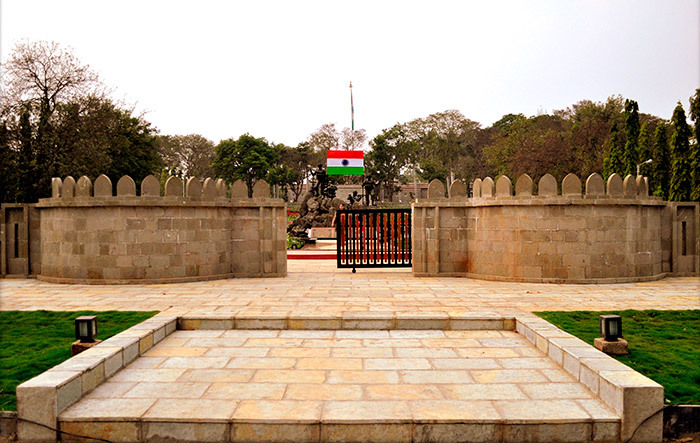 On this plot of land the NDA had erected the Kargil War Memorial – A sculptural rendering of the conquest of the Tiger Hill by the Indian Army. An ace sculptor was given the task of sculpting the 12.5 feet-tall statue of Chhatrapati Shivaji Maharaj seated on a horse. The statue is 3 Tonne in weight. The design brief from the clients was to simply select an appropriate location to erect the pedestal and the statue and create a garden around it. They were keen on having a ’fort-like’ setting with the statue placed centrally. 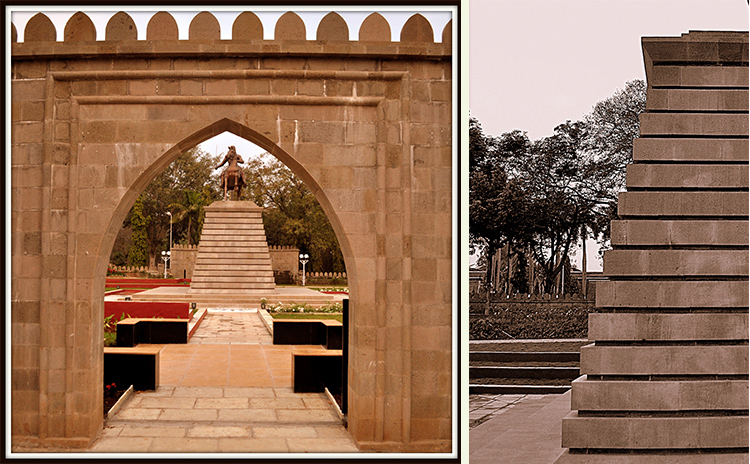 The existing Kargil War Memorial was to be left untouched. The site was surrounded by very large trees of Mangifera Indica, Polyalthia longifolia, Peltophorum sp, Azadirachta indica and Jacaranda species. Inside the site was devoid of any Visibility of the statue was proving to be the most crucial issue, as the tree canopies were so dense that it was difficult to see it from the main road outside. Various site experiments with vertical posts were carried out to check visibility angles from various important locations from outside the site. Taking advantage of the slight level difference within the site, the location and the height of the pedestal was finalised. 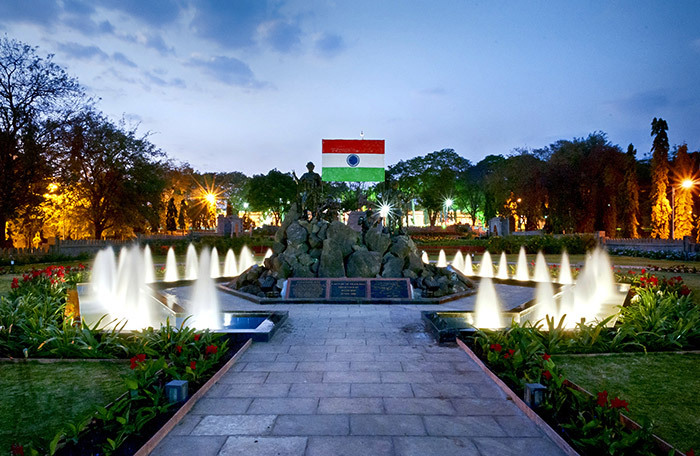 The campus of NDA is an old well-matured campus. 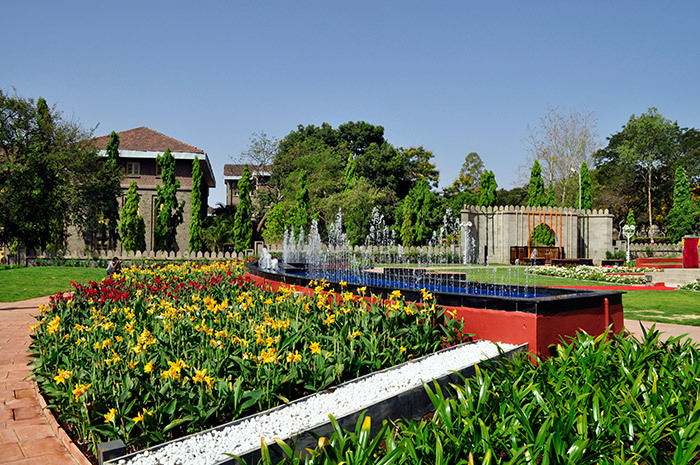 The design for garden had to be such that it had to blend in with the ambience of the site and the architecture around. We were keen on giving it an ‘old’ look so that it would look a part of the original campus. Taking cues from the architectural character around, it was evident that the development had to be done using natural stone of local origins. 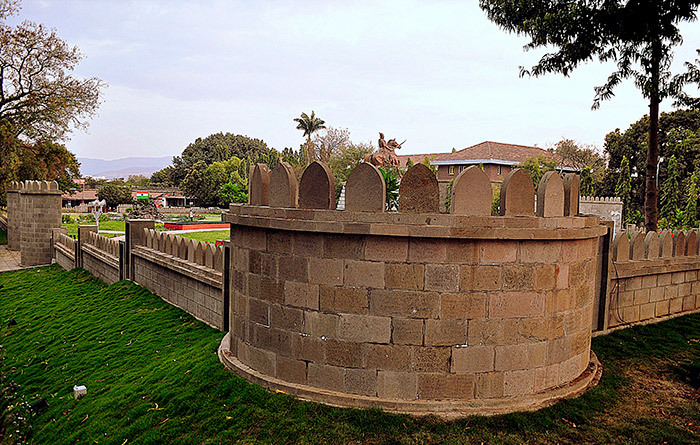 Studies of Indian elements like pedestals, bastions, fort walls etc. were carried out to understand their relation with each other. These were judiciously recreated such that they merely formed a setting and did not overpower the statue. The statue on the pedestal had to be the tallest structure in the site.